Think they don’t make furniture like that anymore? Think again. 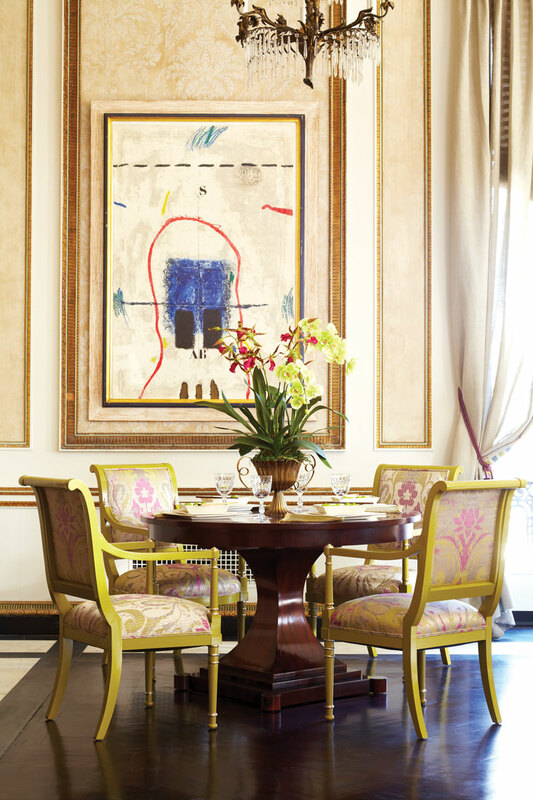 The finished products are a graceful addition to this room by Greenbaum Interiors. Nowadays, we’re used to shopping for finished products—prepared food, ready-to-wear clothing. And we’re so accustomed to choosing furniture from a showroom floor that it can be a bit of a culture shock to witness the making of a chair or table from scratch. It’s striking how the experience of the senses—the buzz of a saw, the scent of wood stain and, quite honestly, the sight of the mess that handwork creates—can offer a whole new perspective on the labor, expertise and artistry required to create a high-quality piece of furniture. We spoke with several people who make it their business to create handmade pieces for the home. Susan Greenbaum is president of Paterson, New Jersey-based Greenbaum Interiors, which offers both manufacturer brands and custom-made pieces fabricated in-house. 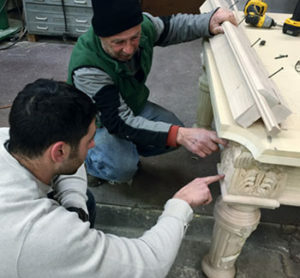 Jeff Roeder is head craftsman at Blatt Billiards, a pool table fabricator with locations in Manhattan and Wood-Ridge, NJ. 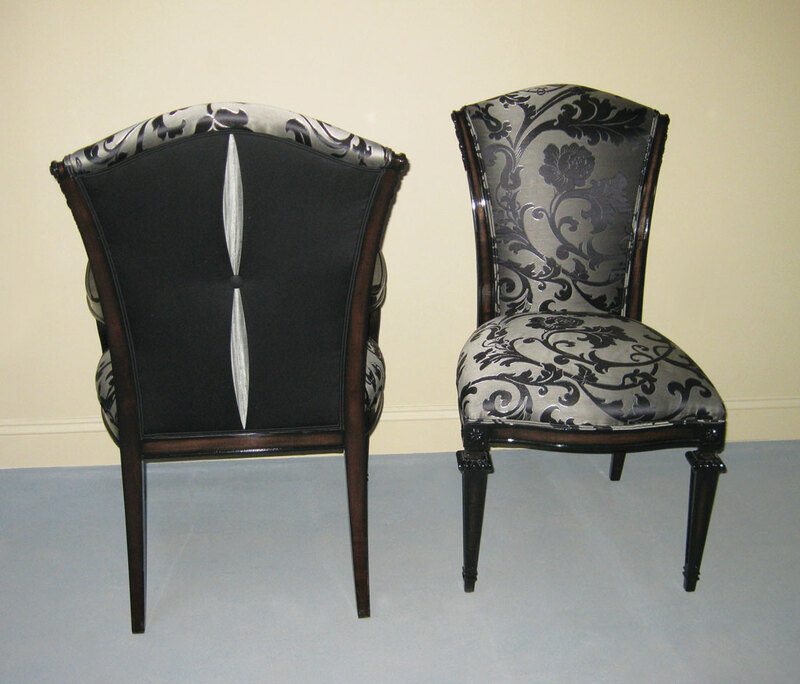 Alberto Alvarez is president of Alvarez Furnishings in Paterson, NJ, which specializes in refinishing, restoration, upholstering and custom manufacturing. They discussed the ways in which this age-old art is still relevant today. Greenbaum reports that clients come to her “when they’re looking for something different and can’t find it in the marketplace.” That’s a pretty exciting thought: walk into a shop, describe an idea and have that vision brought to life. 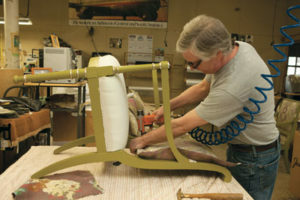 “People appreciate this workmanship,” Susan Greenbaum says regarding the process of handcrafting furniture. For the less certain among us who haven’t quite pinned down our preferences, “there’s a happy medium,” Roeder says. That involves choosing a “standard” model and having the fabricators “tailor it to specific wants and needs, anything from type of wood to trim style.” Greenbaum describes a plethora of options involving “any kind of carving or detail a client would like. Then we discuss finishes—whether it’s a painted finish, a stain or a faux finish. You can do a light lacquer and get a whole new look or paint it purple and have it be funky,” she says with a laugh. Bruce and Jeff Roeder examine a hand-carved billiard table. At the client’s request, the completed table was swathed with goldleaf and finished in high-gloss black. 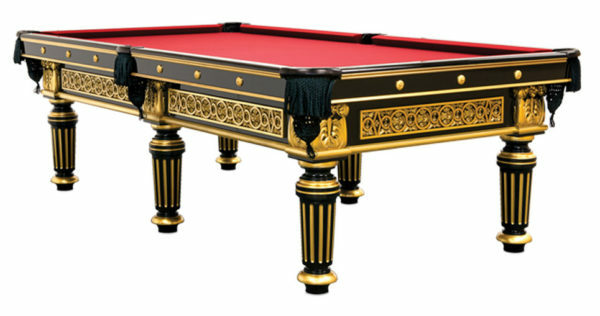 “It’s a pretty outrageous table,” Jeff Roeder of Blatt Billiards says.